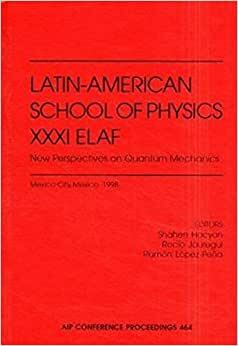 These proceedings of the XXXI Latin-American School of Physics focus on new perspectives on quantum mechanics. During three weeks of the School, lectures from leading physicists aimed to present a general overview of the state of quantum physics, both from a theoretical and an experimental perspective. The contributions of the first part deal with quantum optics, modern techniques for atom cooling by means of lasers, atomic and ion traps, the manipulation of atoms in microcavities, and Bose-Einstein condensation. The emphasis is on experimental techniques related to fundamental phenomena predicted by quantum mechanics. The second part provides theoretical methods for the study of quantum mechanics, tomographic methods, and alternative interpretations of quantum mechanics. The final part is a collection of topics in quantum mechanics: mesoscopic systems, several mathematical techniques, and quantum chaos.